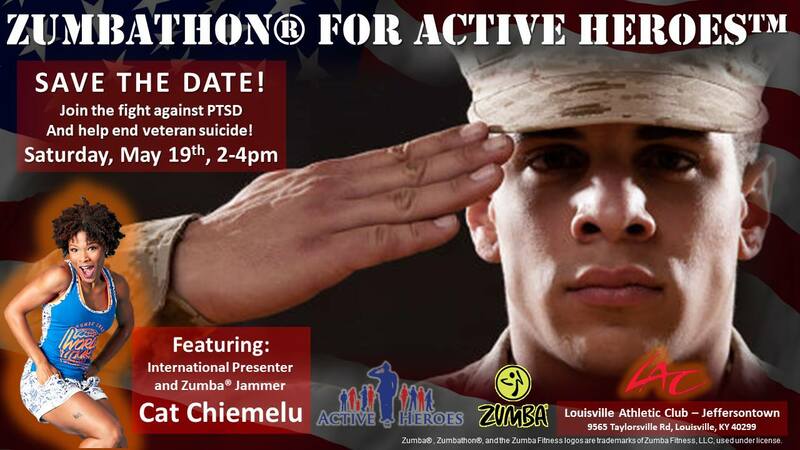 Join Zumba® instructors from across the country as we come together for a 2 hour Zumbathon® to support our veterans with PTSD! After holding events for Active Heroes across the country, and raising thousands of dollars, we’re bringing it home to the Active Heroes Headquarters! All proceeds will go directly to the charity, which sponsors programs to assist veterans with PTSD and their families. Get ready to sweat, smile, and do your part to support our nations most valuable citizens!